Japan’s defence ministry says 3,500 Russian troops are deployed on the two larger islands as part of a military build-up. “We plan to lodge a protest,” Mr Kono told reporters, adding that Japan would clearly state its position during negotiations. Russia says it is perturbed by Japan’s roll-out of the Aegis Ashore US missile system, part of Japan’s defence plans to counter China, North Korea and Russia. 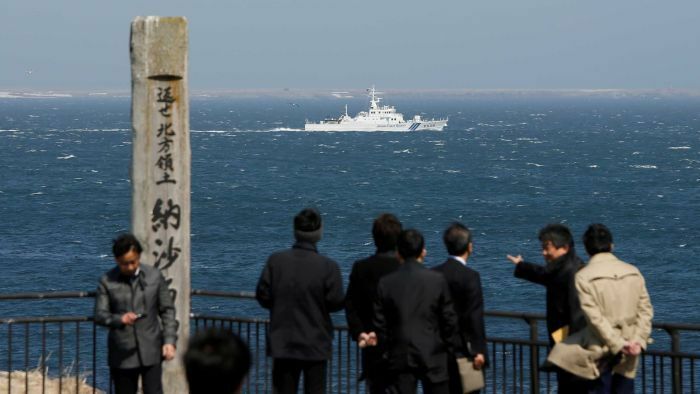 Russia’s Defence Ministry said on Monday it wanted troops and their families to move on December 25 into two new housing sites on the island of Iturup (Etorofu in Japan), and into two other complexes on the island of Kunashir (Kunashiri in Japan). “Also on both islands we have modern and heated storage facilities for weapons and armoured vehicles,” the ministry said in a statement, adding that more such facilities were planned.